Drivers turn to all-wheel drive SUVs like the Sorento for additional peace of mind on the road. Thanks to their enhanced traction and superior handling, all-wheel drive vehicles can handle any type of weather or driving conditions with ease. 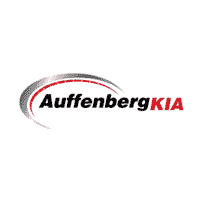 Auffenberg Kia offers an extensive selection of pre-owned all-wheel-drive SUVs for sale in O'Fallon, IL, all at great prices! Hassle free buying with the Auffenberg Honesty policy.Upfront no hassle pricing for everyone!! Come see over 800 preowned vehicles at the PREOWNED SUPERSTORE located at the St Clair Automall in O'fallon. Best selection, best prices, best service.Come see why BERG IS THE WORD!! LOCAL TRADE, CLEAN CARFAX, Best price in town! !, RX 330, 4D Sport Utility, 3.3L V6 SMPI DOHC 24V, 5-Speed Automatic Electronic with Overdrive, AWD, Gray. 3.3L V6 SMPI DOHC 24V At Auffenberg Pre-Owned Superstore we have over 600 vehicles for you to choose from staring at $4995. We're only minutes from anywhere in St. Louis. Thanks to their large, heavy frames, SUVs dominate as one of the safest types of vehicles on the road. When paired with all-wheel drive, there is almost nothing these vehicles can’t handle. If you routinely encounter inclement weather or less than ideal driving conditions, all-wheel drive will help give you the security you need to navigate any road with confidence. This safety feature also boosts your SUV’s resale value, which brings extra peace of mind. Auffenberg Kia is proud to offer a wide selection of all-wheel drive SUVs in O'Fallon, including used and Certified Pre-Owned models. When you’re ready to experience the feeling of additional traction and handling for yourself, schedule a test drive with our friendly sales team today! We look forward to working with you!